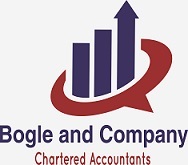 Our Accounting, bookkeeping, andpayroll services are offered to businesses nationally. We remove the headache and worry associated with your financial record keeping so that your team can maintain their focus on growing the business! We provide you clean and up-to-date information at all times so your management team can be well informed. The Auditing/ Risk Advisory Services practice helps clients manage risk so they can focus on their core businesses. By intimately understanding each client's business, it converts information into insights to uncover hidden opportunities to improve client efficiency and performance. These help clients improve performance and make decisions that can strengthen their business. ThePractice provides Internal Audit, External audit, Documentation of Accounting and other procedures and Advisory services.